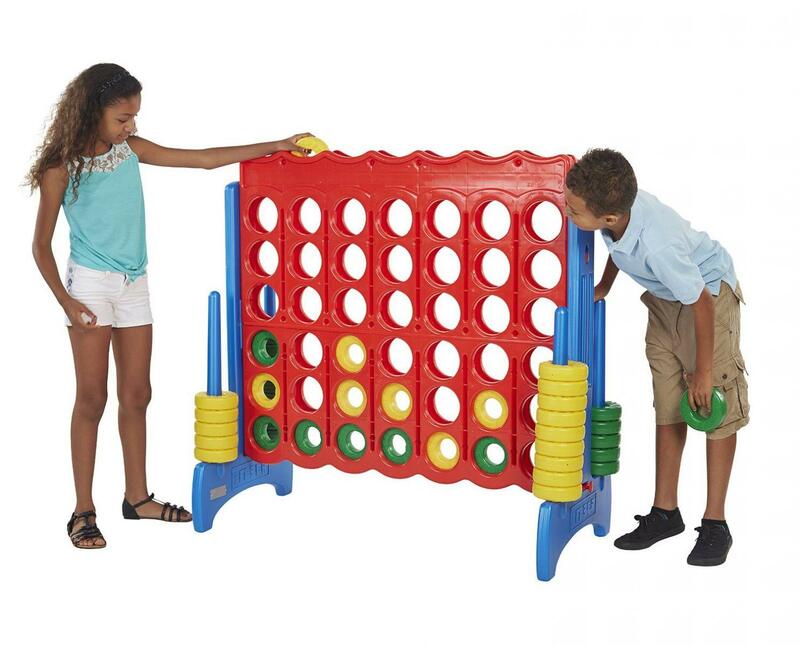 Giant Connect Four is a great game as an add-on to a large event or as a fun backyard party item! Life-size version of the classic ring-dropping game. 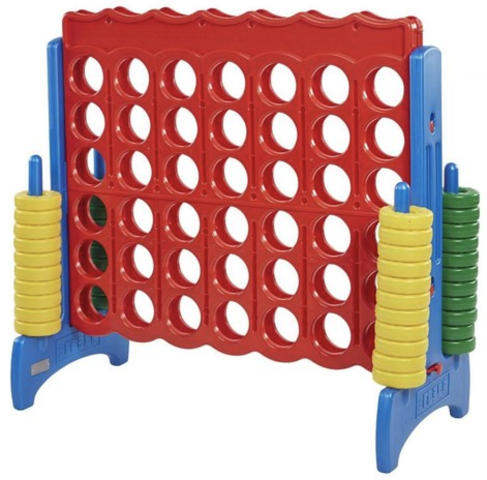 The Giant Connect Four Game brings back the excitement you had as a child in a much larger way! And will be a sure hit bringing hours of fun at your next outdoor party, corporate outing, or school fair. Just like the popular table-top version, a 2-player game in which the players first choose a color & take turns dropping their colored discs form the top into a 7 column, 6 row vertically-suspended grid. The pieces fall straight down, occupying the next available space within the column. The object of the game is to connect 4 of one’s own discs of the same color next to each other vertically, horizontally, or diagonally before one’s opponent can do so. A great game of strategy – can be played as a game of leisure or as a team building activity.